Comics once taught us that any dream worth having, is a dream worth fighting for. 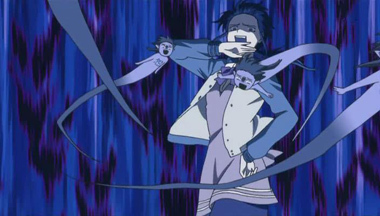 Kyoko Mogami practices that, though it's for the wrong reasons. 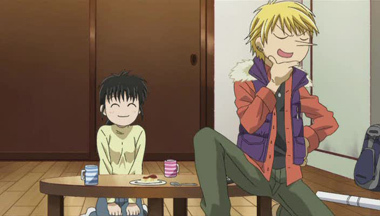 She moved to the big city with her childhood boyfriend Sho Fuwa, to help him fight for his dreams of becoming a music idol. Of course, that means working two jobs, and covering all of the upstart's expenses. This would have been worth it, if she didn't suddenly hear him admit that she was just a sucker, a means to an end. But, instead of giving into a sappy affair of sadness, Kyoko blossoms into a rage driven machine of revenge. Bent on beating Sho at his own game, she vows to join the entertainment industry, become famous, and then destroy him. A transition of night and day, our hard working angel becomes a determined devil. A verifiable Pandora's box, Kyoko's sweet personality is contrasted by a palatable bloodlust for revenge. Of course, putting her in acting challenges only encourages her rising competitive nature. 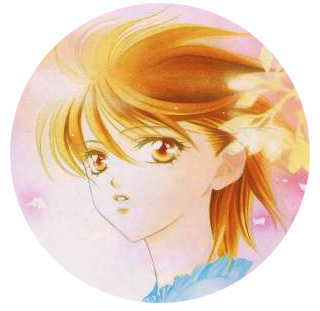 The air of superficiality, cutthroat practices, Kyoko attracts a considerable amount of interest from her peers. That is to say, she's an insanely determined actress who admits to having zero interest in acting. Now, we almost immediately fell in love with the series. The premise is decidedly emotion centric, yet without losing its comedic appeal. The show is essentially a shonen tournament, but with an acting focus. Rival actors, hidden talents, the competitive aspects will leave most viewers rushing for the next episode. However, plenty of people have complained about the ambiguity of series. Rotating from incredibly cartoonish internal monologues, to real-world realism, and then just jumbling them up, the style of the series can appear a bit out of control. For example, the bad idea devils on her shoulders will occasionally be interrupted by the actual events transpiring, and then will physically manhandle the interlopers. Of course, this is to taste, as that aspect didn't bother us in the slightest. That said; the one obvious flaw is the rather abrupt ending. 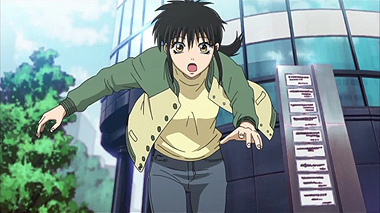 Knowing their series would only be 25 episodes, Studio Hal Film Maker decided to just stop the series, rather than reach any sort of natural conclusion. Of course, the work is based off a considerably longer manga, and this leaves room open for a sequel, but fans would not be odd if they got to the 25th episode and wondered why there was no 26th. 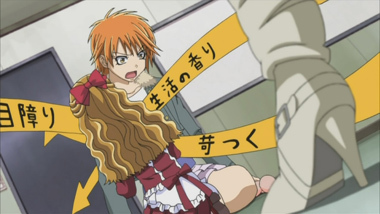 Below: Scenes from the Skip Beat anime series. 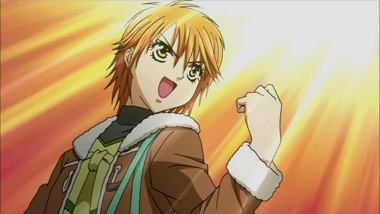 Wikipedia entry for Skip Beat! 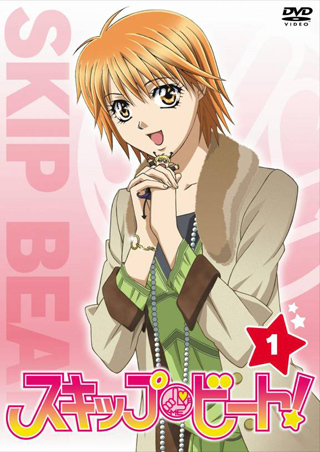 Below: A Japanese DVD cover for Skip Beat. 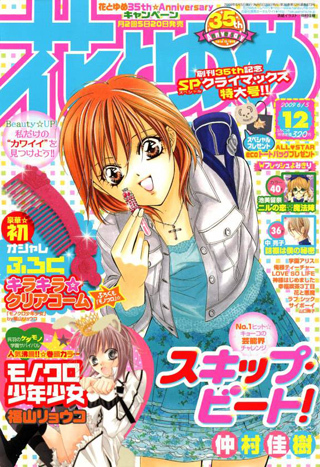 Below: A Skip Beat illustrated cover from a Japanese magazine. 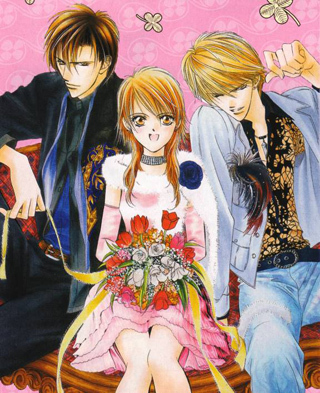 Below: An illustration from the Skip Beat manga.